The 2018 Renegade is the smallest Jeep on offer. And, true to its brand, the Renegade is an off-roader’s dream. In this comparison guide, we pit the Renegade against the sporty-looking, larger 2018 Toyota RAV4. Which of these sport utility vehicles has what it takes to earn a spot in your driveway? Let’s find out. This one may come as no surprise, but the Jeep Renegade easily outpaces the Toyota RAV4 when it comes to off-roading. 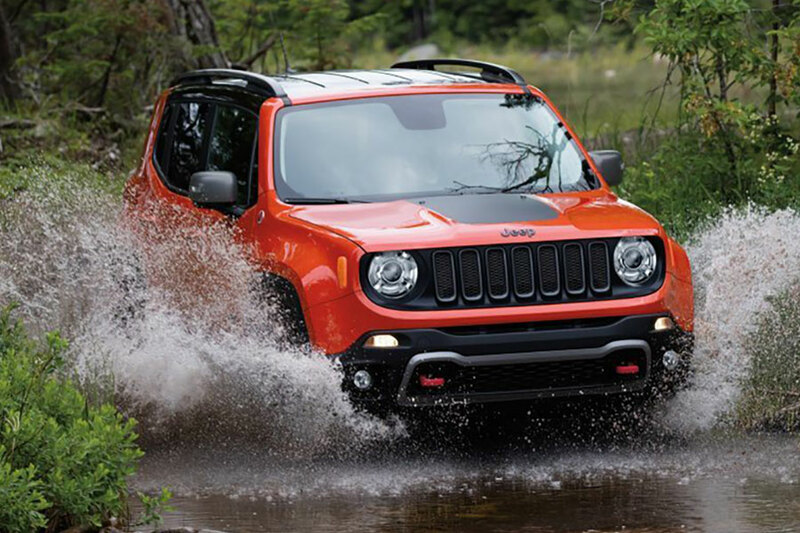 All Renegade models are available with all-wheel drive and the Selec-Terrain system. This innovative system adapts to the type of terrain you’re currently on, whether it be auto, sport, snow, sand/mud, or rock. If off-roading is your primary reason for buying Jeep, do yourself a favor and get the Trailhawk model. 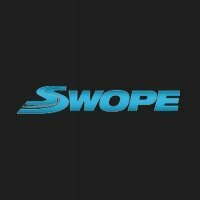 This trim level comes standard with full-time four-wheel drive with low-range gearing, increased ride height, hill-descent control, skid plates, all-terrain tires, and tow hooks. On the other end, there’s not much to say about the Toyota RAV4 when it comes to off-roading. Toyota alludes to the idea of off-roading with the Adventure trim, which boasts underbody armor, fender flares, lift kit, black headlight bezels, roof racks, and foglight housings. But before you get too excited, the lift isn’t much. Just 0.4 inches. You might be able to put some larger tires on it, but the RAV4 probably still won’t keep up with the Renegade. Jeep usually starts at a higher price point than its competitors, mostly because of its off-roading chops. That’s why it’s nice to point out that, in this comparison, the Jeep Renegade beats the Toyota RAV4 in starting price. That’s right, it’s $18,445 for the Renegade Sport, but a whopping $24,510 for the Toyota RAV4. Some of you would rightly point out that the comparison isn’t fair, given that the Renegade is a subcompact sport utility vehicle while the RAV4 is a compact SUV. And that’s fair to point out. With the RAV4, you get a 17 inches more vehicle and 400 more pounds. Interestingly though, the RAV4 gives you only 2 cubic feet more of passenger space. So, unless you need plenty of cargo space, which is where the RAV4 puts the extra space, the Renegade is all-around better. Speaking of interior space, the 2018 Jeep Renegade has an attractive, upscale cabin. There’s ample head room (more than in the RAV4) and you’ll marvel at how nice all the surfaces and materials look. Jeep didn’t skimp, despite the low price point. You might also appreciate its distinctive look. There’s a mudsplash motif on the gauge cluster. We personally liked the Sandstorm accent colors in the black interior color scheme. Whatever colors you choose, we have the feeling your going to like the inside of your Renegade. By contrast, the 2018 Toyota RAV4 interior strikes us as drab, especially considering this model’s starting price. Hard plastics and faux leather isn’t fooling anyone. Given our druthers, we’d rather see the inside of a 2018 Jeep Renegade. Also, we’d rather see a Renegade in our driveway too.